Western roundup of events where you can experience the Old West this October. Prescott, AZ, October 6-7: Sharlot Hall hosts Arizona’s oldest folk music festival, with four stages and jam sessions around the grounds. Baker City, OR, October 13-14: Photography and history fans take a ride on a vintage steam locomotive to capture the fall scenery. Georgetown, CO, Weekends October 13-28: Chug away on a scenic train trip that offers microbrew beer tasting for adults and root beer for kids. San Elizario, TX, October 28: Visitors learn about San Elizario’s history with explorations of “Lost and Creepy” sites by a ghost ride. 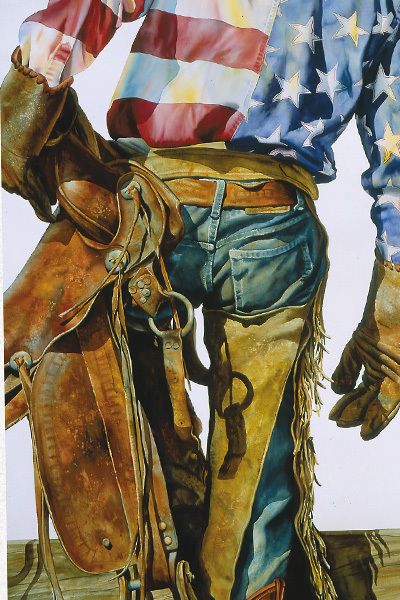 Llano, TX, October 20 through November 3: Celebrate cowboy gear and Western art at the Llano County Historical Museum. San Angelo, TX, October 25-28: The San Angelo Museum of Fine Arts hosts 30 plein air artists who paint, exhibit and sell their artworks. Orange, TX, Opens October 27: Experience the stunning imagery of famed photographer Edward S. Curtis at this Stark Museum exhibit. Dallas, TX, October 20-21: David and Janice Frent collection of Presidential and Political Americana will be on the auction block. Llano, TX, October 19-20: Head to the banks of the Llano River for a traditional chuckwagon cook-off, plus a heritage festival. Denton, TX, October 12-14: Held at Embassy Suites Hotel, this collectors showcase offers historical firearms and edged weapons. Tombstone, AZ, October 4-6: The James-Younger Gang team up for walking tours of historic Tombstone, Boothill Graveyard and speakers. Willcox, AZ, October 4-7: Held since 1951, the singing cowboy’s hometown rodeo also boasts a parade, tractor pulls, a carnival and music. Bandera, TX, October 6-29: Activities will include a hay ride, hay jump, scarecrow dressing, visiting farm animals and pumpkin painting. Grand Island, NE, October 12-13: The spooks of Railroad Town are waiting for you during this family friendly event in the Haunted Field. Pendleton, OR, October 17: Craft beer lovers head to this 1851 commercial center to take in German food, live music and family activities. Tombstone, AZ, October 19-21: Tombstone’s oldest festival venerates the 1880s lifestyle with gunfight re-enactments, music, dancing and a parade. El Paso, TX, October 20: Walk through the 1872 cemetery to learn history of John Wesley Hardin, Buffalo Soldiers and other permanent residents. 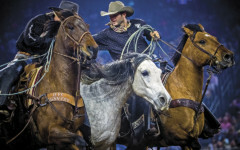 Kerrville, TX, October 26-28: Head to this 1857 Texas Hill Country town for a prospect show, cook-off, bull rides, downtown parade and dances. Fort Worth, TX, October 26-28: Enjoy Western Swing music, cowboy poetry, a chuckwagon cook-off and a rodeo—all at Fort Worth Stockyards. Durango, CO, October 4-7: Poets and musicians from throughout the country grace the intimate Henry Strater Theatre stage, performing classic and contemporary poems and songs. 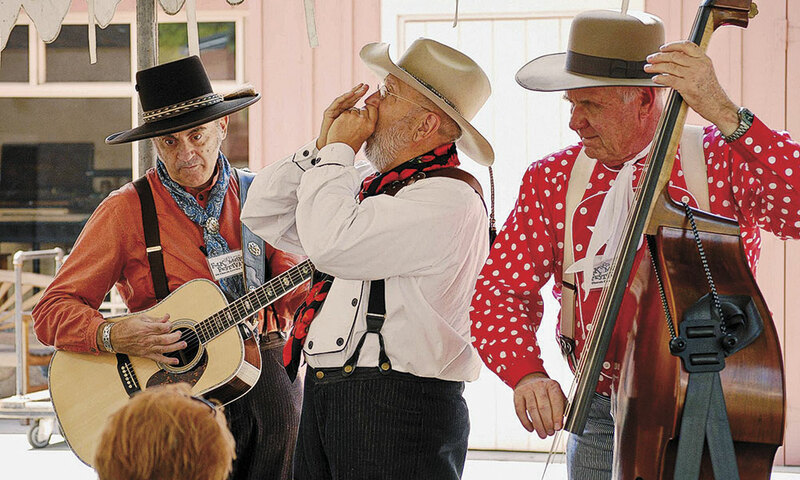 Heber City, UT, October 25-29: Western musicians and poets share their stories at this cowboy culture gala with a traders camp. San Elizario, TX, October 21: In front of the only jail Billy the Kid broke into, you can watch the outlaw’s legendary 1876 jail rescue of a pal. Coffeyville, KS, October 5-6: This re-enactment celebrates the 125th anniversary of the outlaw Dalton Gang’s deadly 1892 bank robbery. 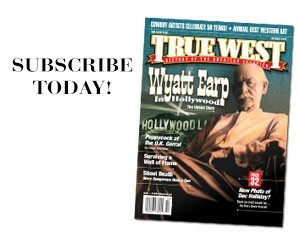 TWMag.com: View Western events on our website. 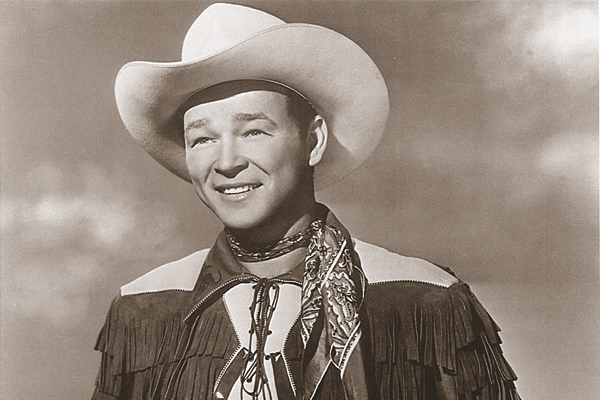 Those Singing Cowboys Homespun, vintage attire of the 1940s and ’50s. Western Events for March 2018 Western roundup of events where you can experience the Old West this March. Painting Below the Belt The art of Nelson Boren.